The open-world, customizable combat action of Starlink: Battle for Atlas blasts off for the Nintendo Switch, Xbox One, and PS4 on October 16, and the Nintendo Switch version comes with some famous cargo. Nintendo's Fox McCloud of Star Fox fame, complete with his Arwing, will join The Starlink Initiative as a playable character for the entirety of the game's open-world campaign, including missions exclusive to Fox as add on content. With the exception of the Star Fox-related items, the Xbox One and PS4 versions of the Starter Pack will come with the same items. The Zenith Starship will be included as a digital-only item in the Nintendo Switch Starter Pack. For those of you that choose to pre-order the Starter Pack on any platform, you'll also get the Startail pilot pack, which lets you play as a Startail pilot with explosive shots. With these real-world modular items (or their digital counterparts), you can customize the way you fight across the seven planets of the Atlas Star System in search of your captain, who's been missing since your mothership, the Equinox, was attacked and damaged by The Forgotten Legion. Each time you swap in a new piece on your ship, that piece is instantly reflected in the game, but enemies will fight back and react to your actions as you battle and explore. "We are excited to give players a deeper look at Starlink: Battle for Atlas, the first all-new property from Ubisoft Toronto," said Laurent Malville, Creative Director at Ubisoft Toronto. "Starlink is a project born from the passion of our collective team, and the opportunity to work directly with Nintendo to bring Star Fox to our universe is a dream come true. We believe the Atlas open star system is a perfect playground for Fox to explore and hope players will too." 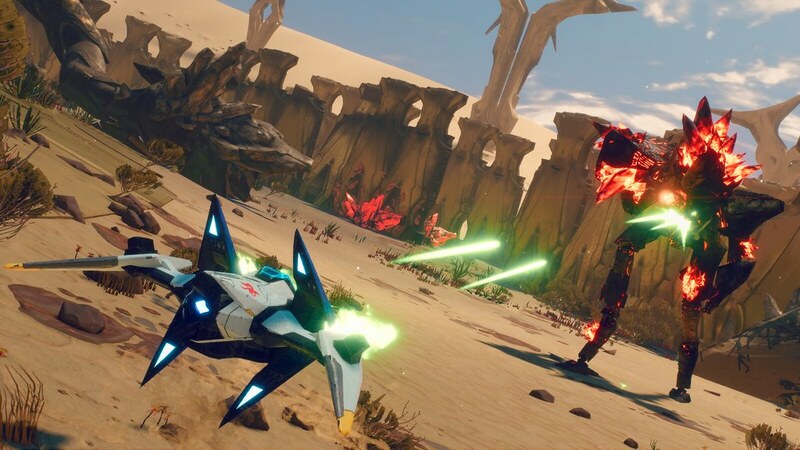 For more information on Starlink: Battle for Atlas, check out our previous coverage.